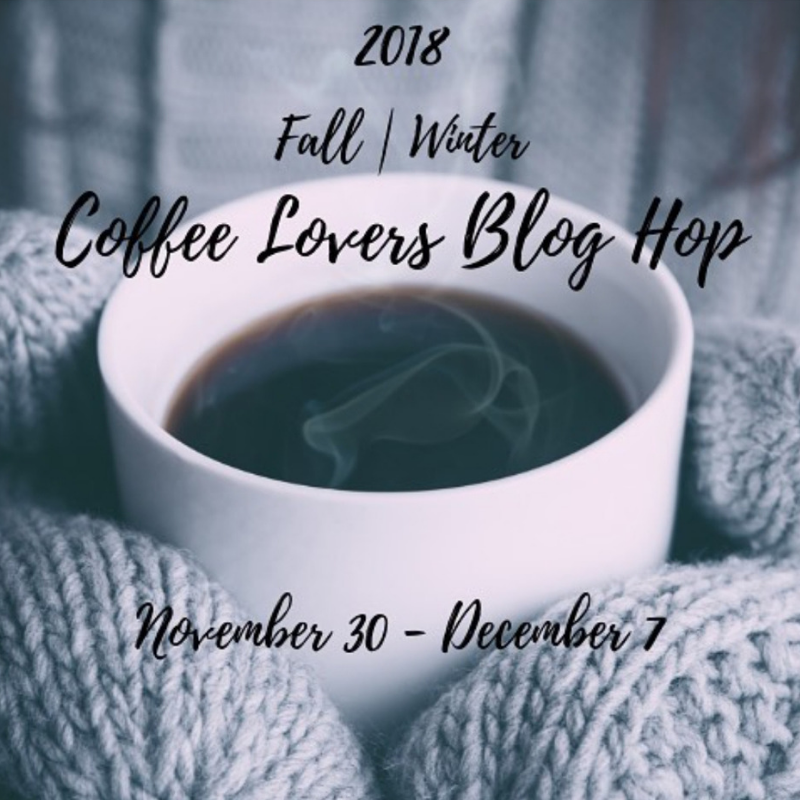 The Fall | Winter Coffee Lovers Blog Hop is doing great! The last time I looked there were 253 linked projects. Did you know that our record is 1,355? Hoping that we beat that but the holidays are a tough time. Sweet card-such a cute sentiment! Super cute love the colors and the bow. So cute, Amy, that paper is fab! Thanks for all you do for the hop. So gorgeous, Amy! Love the go-cup and that sentiment was made for you! Thank you to the awesome, generous sponsors! I love the combo of pink and black, and loving the fun Seuss-inspired sentiment! Cute card. thanks for all you do. OMG!!!! This is AWESOME!! I love love love that sentiment!!!!!!!!!!!!!!!! What a beautiful card and the sentiment is fantastic too. Love this sentiment - and ain't that the truth! Lovely card - and those prizes! Whoot Whoot! I am on the DT for The Cutting Cafe - she has lovely SVG and PDF files - have a blessed day! Great card Amy! I love the fun Dr. Seuss sentiment! I always love the way you pair patterned papers on your card with the stamps. This is lovely. Oooh, I want that cup; so pretty! Beautiful card, Amy. Cute! 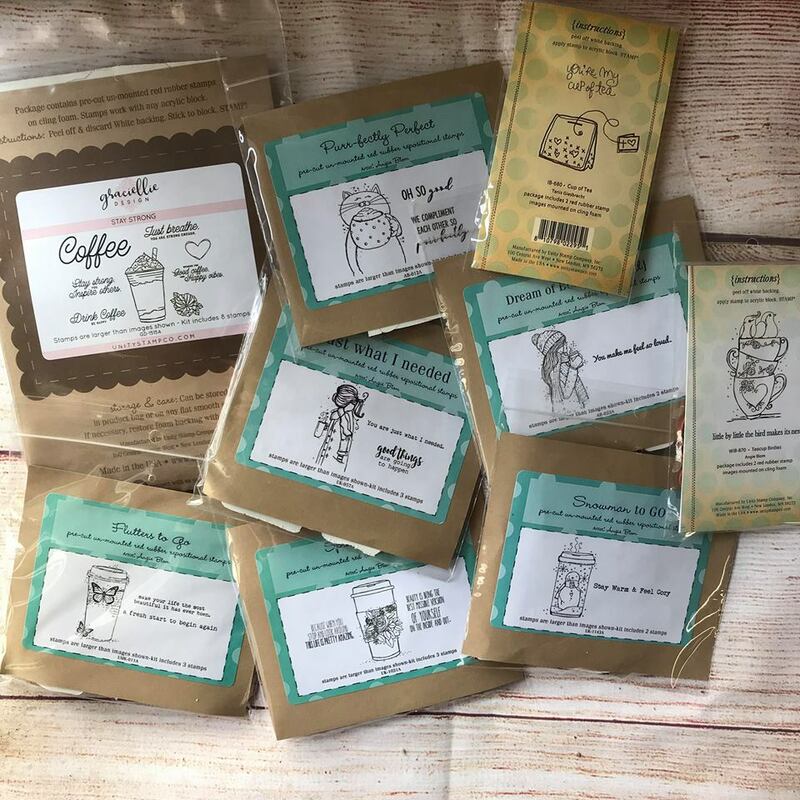 This is the season for an extra cup of coffee! Ha! Love the style of this card and the sentiment is perfect! What great goodies. I love hopping with you, Amy. Like the arrangement & layers of this. I love the elegant feel of this card and timeless design! So pretty. I love Unity stamps and this cup is one of my favs. I made a card with it too and linked it up. Just love your patterns and colors. I love the pink/black combo. Thanks for the inspiration. WOW! So PRETTY Amy! I LOVE the coffee cup... the sentiment is fun! What a super fun layout and I LOVE the combination of papers you used! What a sweet design, Amy. LOVE this. me, too! i will! lol! beautiful and fun! The black in this adds so much depth, beauty! Amazing card, I love that stamp. I'm pretty sure it's your fault a few of my cards had a darker color scheme... 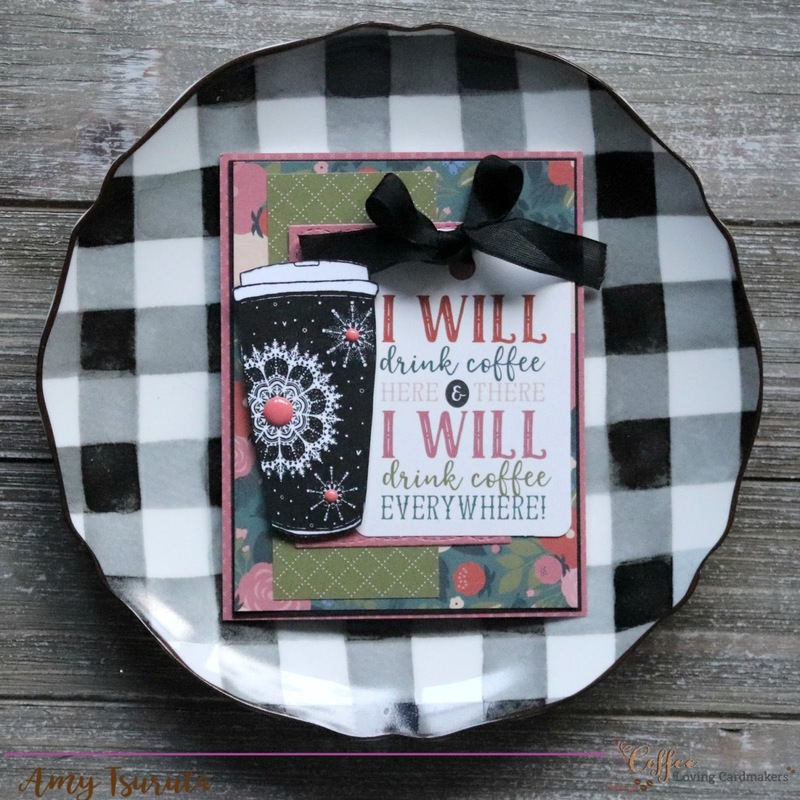 I just LOVE these colors and love that cup in black! Awesome! Don't be too proud of me for making it this far. I've finally realized I'll never catch up so I'm skipping about and making sure to visit my favorite places...lol! And this is one of my favorite places!